The Wild Atlantic Way is an epic journey of discovery along 2,500 km of Ireland’s beautiful coastline on our Western seaboard. This is a long distance driving route that you will never forget. Join us in County Donegal on the North West coast of Ireland where the Wild Atlantic Way takes you through some of the world most natural unspoiled countryside and coastal areas of outstanding beauty. Killybegs Information Centre is an excellent stop off along the Wild Atlantic Way where you can find out more about our Signature Discovery Points and Wild Atlantic Hidden Gems. Wild and untamed, County Donegal is really a destination with a difference. Feel free as a bird when you journey along this breath-taking route. 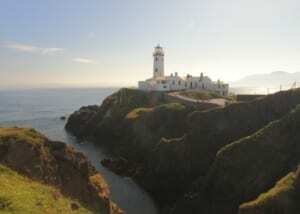 From Donegal Town, to Killybegs, Glencolmcille to Malin Head, you will find places to adventure off the beaten track that are simply unmissable. 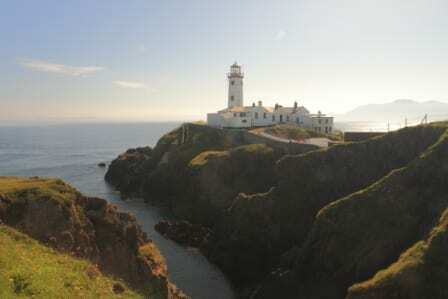 Donegal is home to some of the most dramatic and dazzling coastal views in the world! 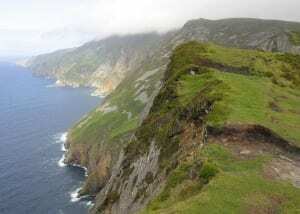 Visit Sliabh Liag where you will find the highest sea cliffs in Europe. 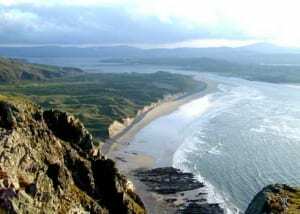 The Wild Atlantic Way Donegal a route that showcases the sheer magnificence of Ireland’s North West coast from stunning headlands and beaches to colorful villages and towns all infused with the history, heritage and tradition of this rugged coastline. 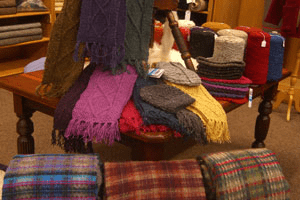 Hidden Gems – From Fleece to Fashion. €25 per person.